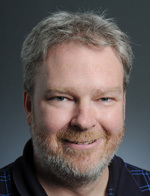 Steven A. Barnes is associate professor of Russian history at George Mason University. He is a specialist in the Soviet period of Russian history. His first book, Death and Redemption: The Gulag and the Shaping of Soviet Society, published by Princeton University Press in 2011, was awarded the Herbert Baxter Adams Prize from the American Historical Association and the Baker-Burton Award from the European Section of the Southern Historical Association for best first book in European history. It was also short-listed for the Central Eurasian Studies Society book prize. Death and Redemption offers a fundamental reinterpretation of the role of the Gulag—the Soviet Union’s vast system of forced-labor camps, internal exile, and prisons—in Soviet society. Soviet authorities undoubtedly had the will to exterminate all the prisoners who passed through the Gulag, but unlike the Nazis they did not conceive of their concentration camps as instruments of genocide. In this provocative book, Steven Barnes argues that the Gulag must be understood primarily as a penal institution where prisoners were given one final chance to reintegrate into Soviet society. Millions whom authorities deemed “reeducated” through brutal forced labor were allowed to leave. Millions more who “failed” never got out alive. Drawing on newly opened archives in Russia and Kazakhstan as well as memoirs by actual prisoners, Barnes shows how the Gulag was integral to the Soviet goal of building a utopian socialist society. He takes readers into the Gulag itself, focusing on one outpost of the Gulag system in the Karaganda region of Kazakhstan, a location that featured the full panoply of Soviet detention institutions. Barnes traces the Gulag experience from its beginnings after the 1917 Russian Revolution to its decline following the 1953 death of Stalin. Death and Redemption reveals how the Gulag defined the border between those who would reenter Soviet society and those who would be excluded through death. Interviews about the book have appeared on C-SPAN2, on New Books in Russian and Eurasian Studies, and at East Central Europe Past and Present. It has also been subject of a blog conversation here at Russian History Blog. Additionally, with the National Parks Service and the Gulag Museum in Perm, Russia, Dr. Barnes was historical consultant for a traveling museum exhibit on the history of the Gulag. Working with the Center for History and New Media, Dr. Barnes built a web exhibit on the history of the Gulag. Information on both these projects can be found at Gulag: Many Days, Many Lives. Dr. Barnes spent four months in the winter of 2012-2013 completing research in Russia and Kazakhstan for his new book titled The Wives’ Gulag: The Akmolinsk Camp for Wives of Traitors to the Motherland. The book will trace women’s lives in a camp for elite women during the height of Stalin’s Great Terror. Death and Redemption: The Gulag and the Shaping of Soviet Society, Princeton University Press, 2011. “Open Access: An Argument in Favor,” Newsnet: News of the Assocation for Slavic, East European, and Eurasian Studies, June 2013, pp. 10-11. “Russian History Blog and Digital Dissemination of Russian Historical Research,”Newsnet: News of the Assocation for Slavic, East European, and Eurasian Studies, May/June 2011, pp. 1-5. “The Gulag’s Foundation in Kazakhstan,” Global Studies Review, Summer 2008, pp. 5-7. “In a Manner Befitting Soviet Citizens: An Uprising in the Post-Stalin Gulag,” Slavic Review, Winter 2005, pp. 823-850. “Hits and Misses in the Archives of Kazakhstan,” in Samuel Baron and Cathy Frierson (eds. ), Adventures in Russian Historical Research: Reminiscences of American Scholars from the Cold War to the Present, M.E. Sharpe, 2003. “All for the Front, All for Victory! : The Mobilization of Forced Labor in the Soviet Union during World War Two,” International Labor and Working Class History, Fall 2000, pp. 239-60. “Researching Daily Life in the Gulag,” Kritika: Explorations in Russian and Eurasian History, Spring 2000, pp. 377-90.